A couple of weeks ago a man from Four Roses came to the Lexington to guide some of the bar staff through a whiskey tasting during which he explained that the bourbon scarcity is due to two factors, women and the British. Now, I can’t speak for women but I certainly can speak as a British person who’s got a real taste for the sweet stuff. In fact American whiskeys are more popular than ever before, beyond the US and the UK (hi, Germany) and that’s what’s creating the considerable shortages at distilleries across the USA as they struggle to keep up with exponential demand. The beauty of American whiskey is also, in a way, it’s downfall because it takes so damned long to produce, even the cheap stuff! It’s a very delicate, natural and legally defined process involving so few variables that it’s impossible to fake. Getting consistent flavours takes time and experimentation with heating and cooling and the expert palates of the master distillers who spend their lives dedicated to this art. Not an additive in sight. In short, you can’t fake it. 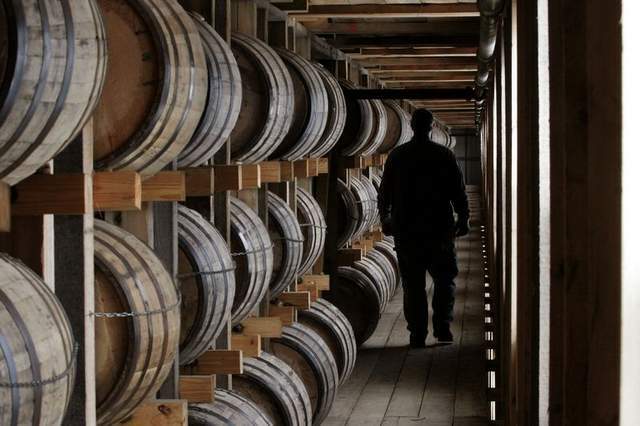 Simple economics tells us that when demand outstrips supply the price goes up and basically that’s exactly what has caused bourbon’s price hikes over the last four or five years and has made a number of revered bottles practically priceless thanks to their rarity. Forgetting about the whiskies you’ll never have a chance to sip, there are plenty of bourbons at the lower end that still taste great and will hopefully spark a love affair with the sweet (and spicey) amber nectar. 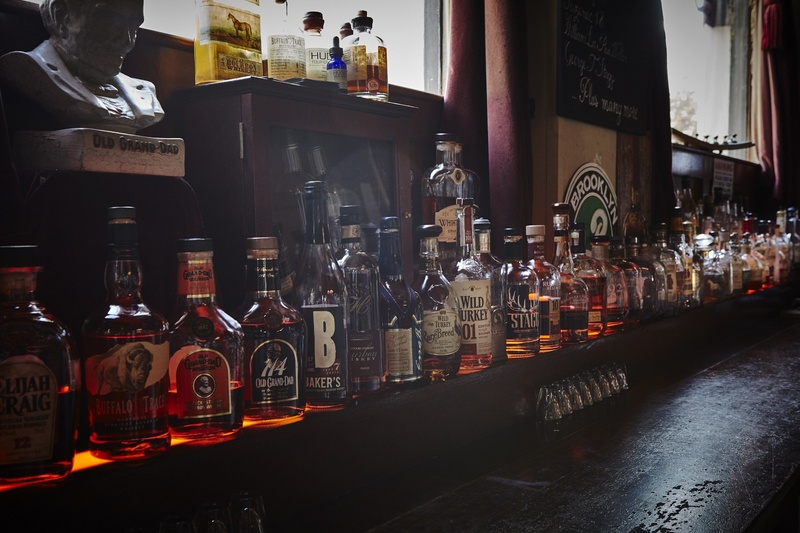 Out of the hundred plus American whiskies on our back bar here are some of our favourites that wont bankrupt you on your next trip to the Lex. My personal favourite bourbon and highly revered the world over. 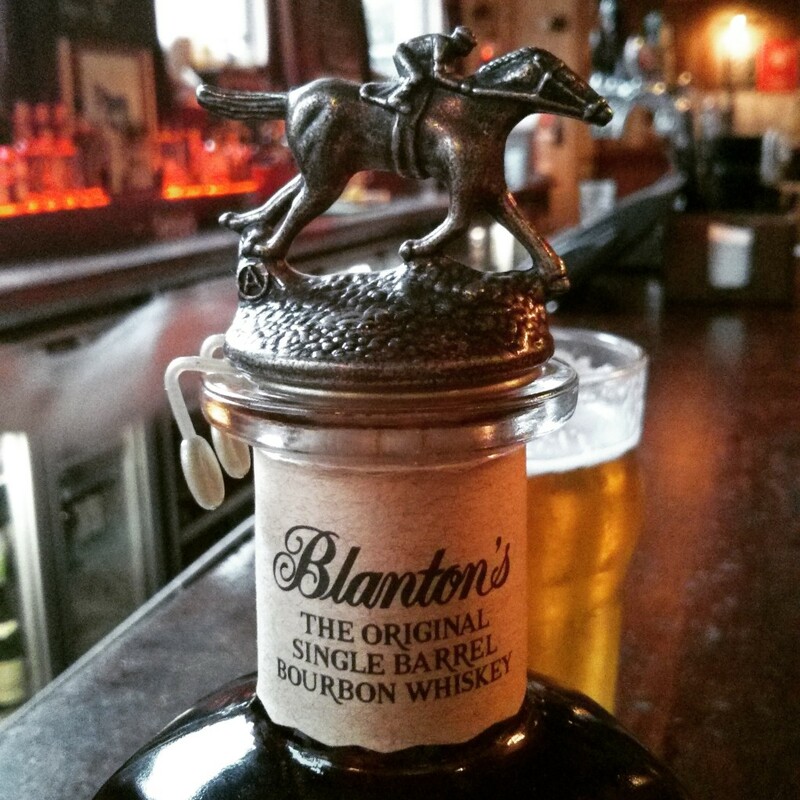 What’s not to love about Blanton’s? Its ornate bottle and range of stoppers? Or the fact that it’s the world’s first single barrel bourbon? Colonel Albert B. Blanton first bottled his private reserve bourbon a century ago. Colonel Blanton believed the “center-cut” or middle sections of Warehouse H were the best for aging his bourbon. Personally tasting and choosing each barrel, these barrels were reserved and bottled for ambassadors, dignitaries, family and friends. To this day every bottle of Blanton’s comes from Warehouse H, continuing it’s tradition as a single barrel of the highest order. Dangerously smooth, with literally the full range of flavours associated with bourbon and then a long spice finish, this is the whiskey you dedicate a big glass to and really enjoy. It is one of the finest liquids you may ever behold at an unbelievably low price for the privilege. And if you can’t trust a man whose middle name is Bacon, then who can you trust? Weller 12 is a pedigree at only £4 a measure, making it the cheapest bourbon on offer. 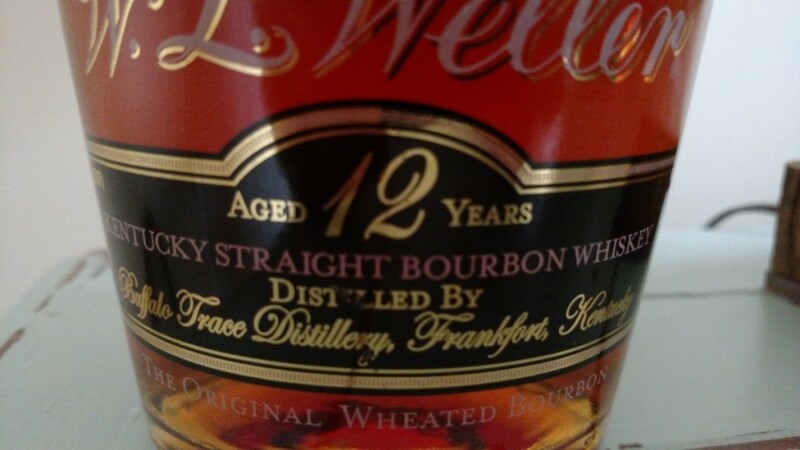 It’s won numerous awards for it’s silky wheated flavour and it’s a name indebted to the history of bourbon production, coming from Kentucky whiskey distiller William Larue Weller, supposedly the first to produce straight bourbon using wheat instead of rye in the mashbill and Weller 12 stands out as an excellent example of a wheated bourbon. 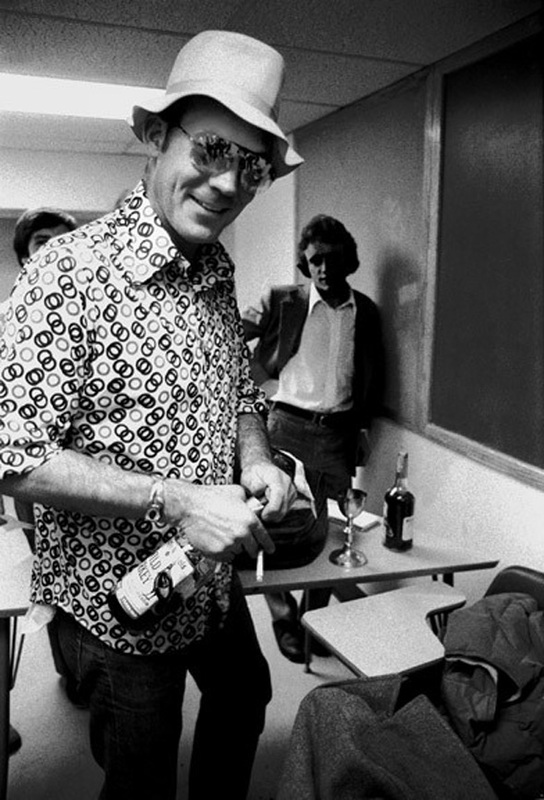 Wild Turkey is famed for being the drink of choice of cult author and journalist Hunter S. Thompson whilst rampaging through the 1972 presidential campaign trail and, prior to that, Las Vegas. Maybe it’s not surprising then that Wild Turkey 101 is also the owner’s drink of choice! It’s a delicious bit of American whiskey, distilled for six years in American oak barrels, resulting in a rich spiced whiskey that mellows into subtle sweetness, at no point overpowering the palate. Before whiskey gets that whiskey flavour it starts life as the distillate, which is basically the distilled flavour of the mash bill. 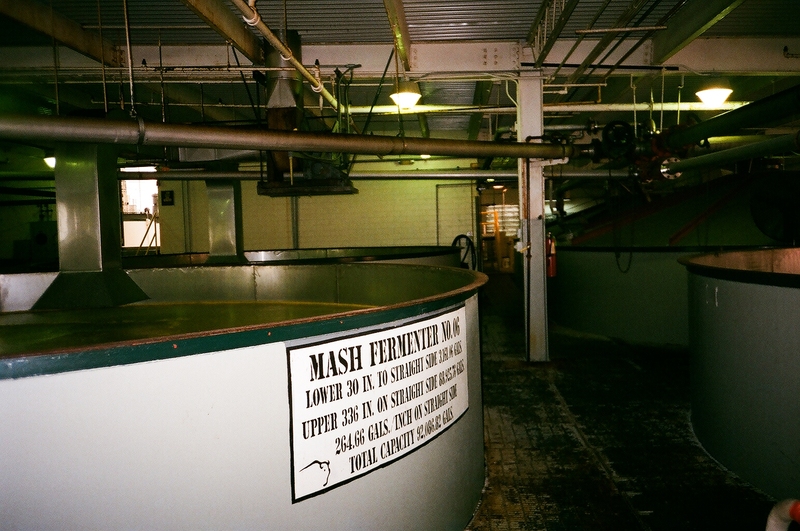 The mash bill must be a minimum of 51% corn and then a composition of flavour grains, rye provides the muscular spice whilst wheat provides some of the sweetness and perceived smoothness, and malted barley to help with the fermentation process. In the pioneer days of Kentucky this is what distillers made and drank until one day someone realised that you could stick the distillate in an oak barrel which would add even more flavour and make a delicious drink that we know today as Kentucky Straight Bourbon Whiskey. The distillate itself can come off as raw and harsh to the uninitiated but it’s an interesting experience if you want to understand where the base flavours of bourbon come from, the corn really comes through and the whole thing has a very porridge-like feel to it. It’s worth a try, but you’re not going to win anyone over by buying anyone one of these. 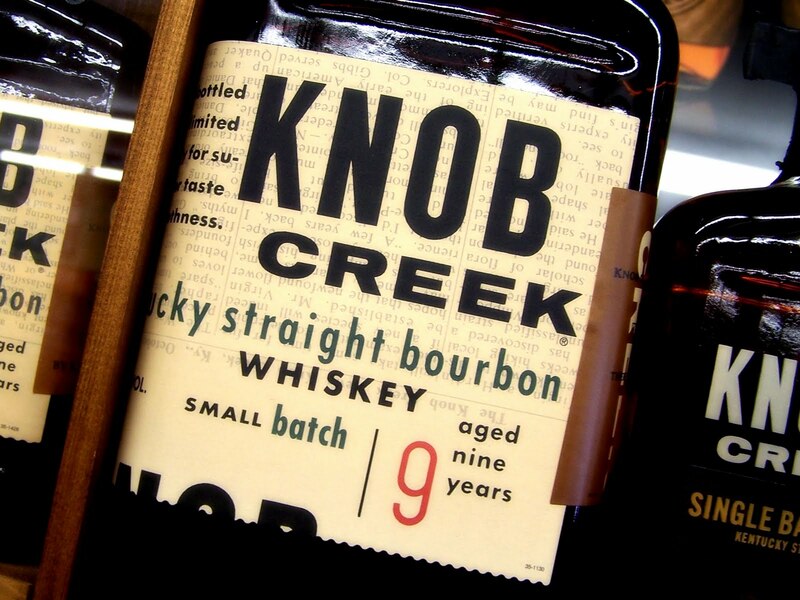 Knob Creek is one of those bourbons that’s becoming more recognisable in the UK thanks to being widely available as a Jim Bean small batch. 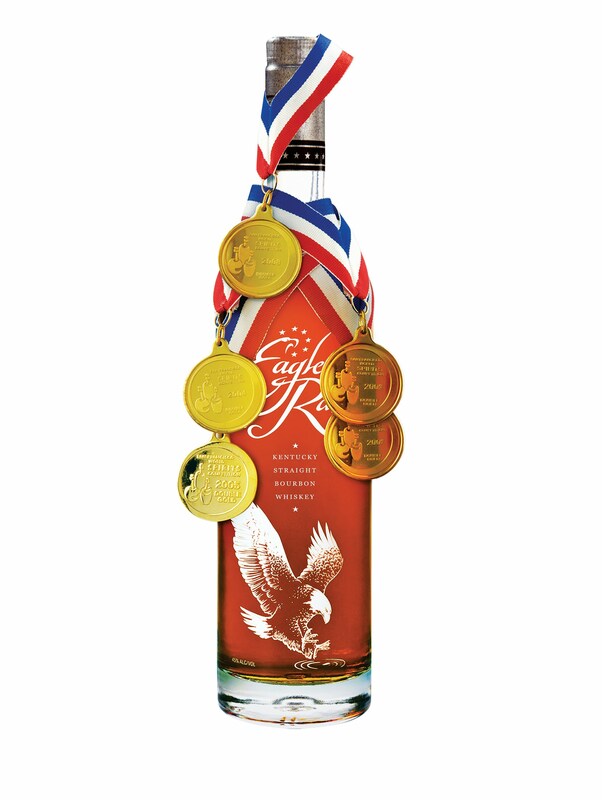 Knob Creek is named after the part of Kentucky where honest Abe grew up giving it something of a noble heritage. 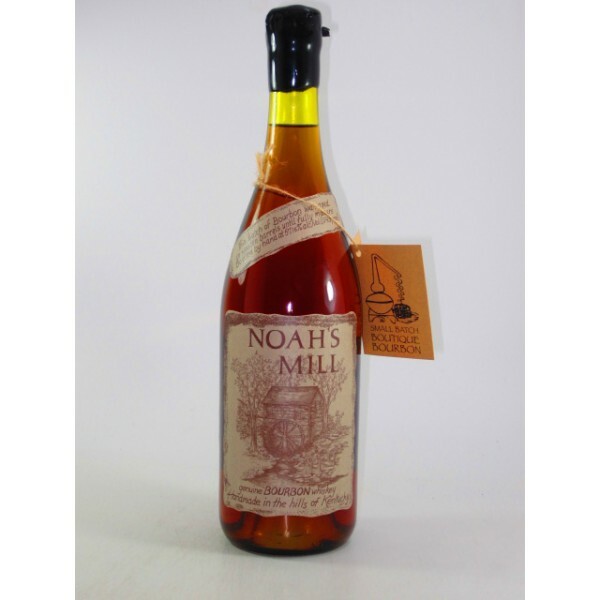 It’s spent nine years in the barrel and has a rich sweet and spicy aroma, it’s a big rich lick of bourbon! Eagle Rare 10 is another single barrel offering from the Buffalo Trace distillery, often regarded as outperforming its 17 year old sister in terms of flavour it’s a whiskey that has the usual rich and complex range of flavours but with an underlying smoothness that makes it perfect for an afternoon drink (which we’re often partial to at the Lexington). It also mixes down really well into an old fashioned or sazerac without breaking the bank. Fun fact, Eagle Rare 10 actually starts off life as the White Dog we introduced you to above. 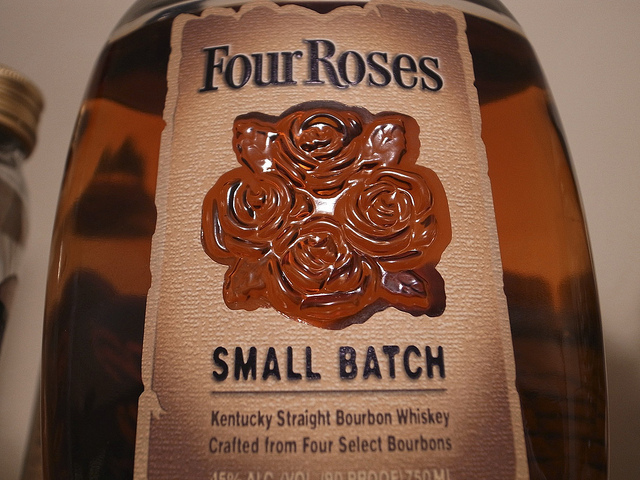 Four Roses have survived Prohibition, The Great Depression, Two World Wars, and 40 years of exile from the US (despite being the best selling bourbon in the USA until as late as the 1960s), to be named American Whisky Distiller of the Year for 2011, 2012 and 2013 – three years in a row – by Whisky Magazine. The process involves crafting ten distinct bourbons and then handpicking four for their small batch blend at the peak of their maturity. The result here is a rich, spicy bourbon with a real kick from the rye. Uncut. Unfiltered. Cask strength. That means straight from barrel to bottle to glass. Absolutely no messing about here, as you’ll see from the deep smoky hue. This small batch, named after Booker Noe, Jim Beam’s grandson and former Master Distiller, blends from whiskies in cask from 6-8 years. Blend consideration given to flavour over age, which means bottles vary in alcohol content by as much as 10%, Bookers suggest between 59.5 % to 64.55 % per batch. That’s a strong whiskey and the uninitiated may benefit from a drop of water to soften the intense assault on the palate. This small batch blends whiskies between four and twenty years old to give a big strong flavour on the tongue, a long aftertaste and, incredibly for its flavour, no burn on the throat. This is the one we’d recommend when you’ve had a sip of all the others and have acquired a bit of a taste for the flavour and want to express your interest a little further, though I warn you don’t let it’s smoothness betray it’s strength! Our general manager believes that, pound for pound, when you take into account the quality of the liquid, it’s strength, and it’s lineage it’s the best thing on our back bar and will give you the best bang for your buck. Just make sure you leave one in the bottle for him. This entry was tagged bourbon, whiskey. Bookmark the permalink.